While working for a state correctional facility does not require a college education, many upper level supervisor positions do require a degree of some type. Working for the Federal Bureau of Prisons (BOP) requires a bachelor’s degree, and advancing your career in these positions may require a master’s degree or even a Ph.D. There are a number of different degrees that allow you to advance in corrections, so even if you don’t have a bachelor’s in criminal justice or a closely-related field, or have no experience in corrections, you may still be able to move into a management position. Individuals who aspire to become a high-ranking official in a prison, such as warden, will be required to earn a bachelor’s degree or higher. 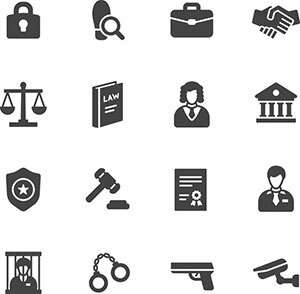 Many employers within the criminal justice system also demand a degree, even though one is not required, and earning a degree will be important later if you plan to advance in the workplace. Although most professionals working in law enforcement are police officers, there are many career options to choose from, like forensic specialist or working for the FBI. It is important to find a field that fits your interests, talents, skills, and salary expectations. Criminology and criminal justice are broad categories within the criminal justice field, and educational requirements vary, ranging from obtaining a GED to a PhD. Earning an associate degree from a technical school or a community college is often the most affordable education available. While not enough of an education to meet Federal requirements for working at the Federal Bureau of Prisons, a two-year associate degree is often enough to give you a leg up on Tis especially true if your degree is in criminal justice, sociology, or psychology. Many two-year colleges do not have more specialized degrees. However, the criminal justice degree is the most common path to becoming a corrections officer and can be found at most community colleges. Typical curriculum at the associate degree level includes coursework in criminal thinking, the study of crime, organizations in the criminal justice system, as well as math and English composition. Typically, courses in survey of law and society are also required, as well as courses in areas of specialization, such as homeland security if offered. One of the greatest benefits to obtaining an associate degree is the on-the-job experience you’ll gain, a factor that is generally appealing to potential employers. If you plan on working for the Federal BOP or if you want to begin working at a state correctional facility in a position that is not considered an entry-level job, you will need to hold a bachelor’s degree. These four-year degrees provide in-depth knowledge and training that a correctional officer needs in order to advance into supervisory or specialist positions. It’s important to understand too, that as job opportunities increase for those holding a bachelor’s degree, so does competition, especially at the State and Federal level. And, more and more employers are looking for applicants who have spent their time and hard earned money earning a college degree in criminal justice as a sign of drive and the initiative to grow and advance in the field. In addition, earning a bachelor’s degree almost guarantees higher pay, and most applicants will be in a better position to advance through the ranks. The following are some of the best majors for those who want to advance in the corrections field. 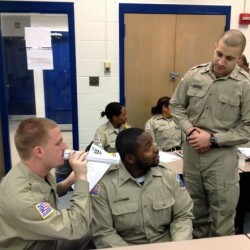 As with two-year degrees, a criminal justice four-year degree is very common among corrections officers. This degree provides graduates with an understanding of the criminal justice system, its various components, what constitutes criminal behavior, and how society attempts to control crime. Students take courses in sociology, law, political science, philosophy, forensic science, psychology, and other interdisciplinary courses. Those who want to advance even further in the corrections field may want to return to college to complete their master’s degree in criminal justice or a Ph.D. in the field. 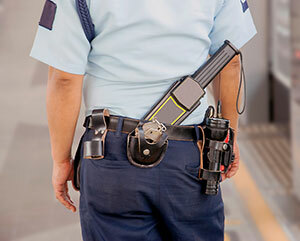 Some colleges and universities do offer a corrections track within the criminal justice major. By focusing on corrections, you will learn more about probation, parole, rehabilitation, corrections, juvenile corrections, and other areas that focus more on what a corrections officer does. You will be ready to go directly into the field of corrections and, if you’re working at the state level, have the education needed to advance in the field. Those who want to work for the Federal BOP will find that a criminal justice degree with a focus in corrections does give you an edge over those with more general degrees. While not as widely available as a criminal justice degree, a degree in criminology is another option for advancing in your career. 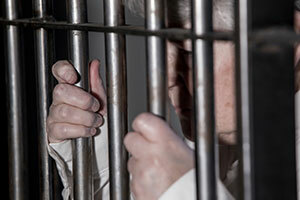 Criminology focuses on the psychology, mindset, and drive of criminals. It draws on psychology and sociology more than on law or political science. Criminologists mainly look at where and when crimes are committed, why they were committed, and how society responds to them. Those who want to eventually move into a therapy or counseling position at a correctional facility will find that a criminology degree will help them attain such a position. Behavioral science is a closely related degree to criminology, but it opens up the topic of study. Instead of focusing on why criminals do what they do, it looks at why humans in general make certain actions or believe in certain things. It’s another good foundation for those who want to go into therapy of some sort. A behavioral science degree will provide you with insight as to what motivates those who are in correctional facilities and can help you better relate to them. Psychology, likewise, provides insight into behavior and what motivates people. 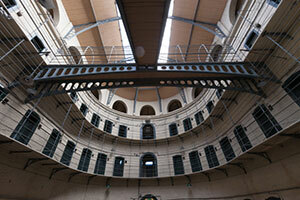 A general psychology degree can prepare those who want to move into the field of correctional psychology. These experts help those in correctional facilities by offering basic mental health counseling and therapy. They work to rehabilitate inmates and assist them with the transition back into everyday life. Working as a corrections officer is a good basis for this position, but you will most likely need to complete a graduate degree in psychology. Those with a master’s degree can become a correctional counselor, while those who hold their doctorate can become a licensed correctional psychologist. Oftentimes, people entering the field of criminal justice or law enforcement have earned an associate or bachelor’s degree. Correction officers, paralegals, private investigators, and cybercrimes specialists may have undergraduate degrees in fields as diverse as psychology, social work, information technology, or law. Individuals with a bachelor’s degree in a foreign language are better able to communicate with criminals and victims who speak another language. So, no matter what you may have studied at the undergraduate level, chances are it can come in handy as you prepare to earn your masters. And, although there are a number of jobs available for those who do not go on to earn their master’s degree in criminal justice, a MS CJ will help you move into an administrative job, or begin a career at the federal level. If you choose to specialize in a subfield of criminal justice, a MS CJ with a concentration in behavioral analysis, homeland security, federal law enforcement, or intelligence and crime analysis is the best way to go. If your plan is to work as an FBI agent, a master’s degree will often get you the job right away, as those who only hold a bachelor’s degree must have at least three years of experience in law enforcement before they can apply. Most graduates with a master’s degree in criminal justice also enter the field with the immediate potential to earn a higher salary. A police chief with a master’s degree can earn about $30,000 more than a police officer with a bachelor’s degree, and an FBI supervisor who has earned a master’s degree can earn as much as $89,000 per year just starting out. If you choose to teach at the college level, create public policy, or advise people in the government about issues in the field of criminal justice you must also earn a master’s degree – at minimum. Further, graduate studies equip students with analytical and problem-solving skills that are often needed and required in leadership positions. Many students choose to earn an associate degree, then go on and apply for a job in criminal justice, understanding that they may begin at the bottom and work their way up to higher pay and more responsibilities. One reason is because college can be expensive, especially if you want to go on and earn a bachelor’s, master’s or PhD. For students who are ambitious and won’t settle for anything less than receiving their bachelor’s or graduate degree, and for working professionals who wish to seek additional education and training for the sake of professional advancement, there are a number of scholarships available for those entering the criminal justice field. Correctional Officers are the backbone of the prison system. However, rapid turnover and lack of trained applicants are making it nearly impossible for administrators to cost-effectively provide an experienced workforce or implement strategies to recruit and train correctional staff. Because of these and other factors, many states have implemented incentive programs for recruiting and retaining, as well as re-training correctional officers. Prior to applying for work, you should check-out any incentive programs in your area, or your surrounding area. If relocating to another region or to another state is an option, then also check-out any incentive programs being offered in the state you wish to locate to. By implementing incentive programs, many systems have seen increased productivity, increased morale and employee loyalty, as well as the motivation to relocate. Incentive programs have been used for years, and have been found to be one of the best ways to foster motivated, happy and productive employees.